I’m obviously very much behind in my reading, because I until Friday I hadn’t read the first of Robert Galbraith’s (AKA J K Rowling) crime novels while right now the fourth, Lethal White, is selling like hot cakes. Or, more accurately selling like a best-seller. I read The Cuckoo’s Calling quickly, over a couple of days of hot weather. (I find crime novels and hot weather go well together). 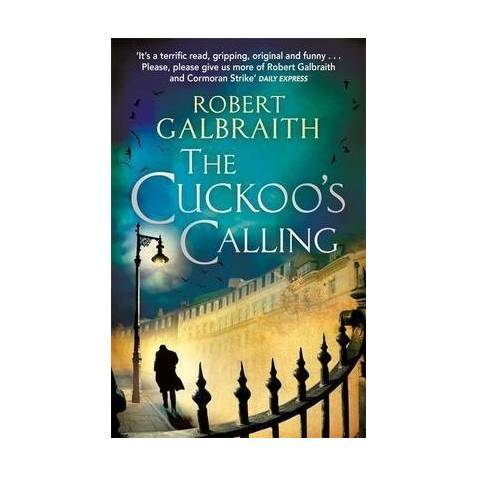 Cormoran Strike is a perfectly respectable detective hero, with his complicated backstory and slightly tattered-around-the-edges nobility. Sidekick Robin is set up to mature into something more. Everything about it, from plot to the cast of characters – including some hilariously horrid society ladies – to the varying London locales, works well. The resolution is neat, but not too neat, and doesn’t rely on the trick of having some character suddenly zoomed from the periphery into the centre of things. It was what I’d call a good read. I skip read most of the sequel, The Silkworm, yesterday and then turned to the last page to find out who did it. Perhaps the crime was a bit too perverse. Perhaps the change in the weather – a cool change swept through the state on Friday evening – diminished my appetite for crime. Sometimes it’s great to binge read the same author, and sometimes it’s not. I’ve got the next one – Career of Evil – ready and waiting, but might wait until the temperature rises. it’s not as if I don’t have plenty to read. A new collection of essays, Call Them By Their True Names by Rebecca Solnit, Dark Emu by Bruce Pascoe, Milkman by Anna Burns. 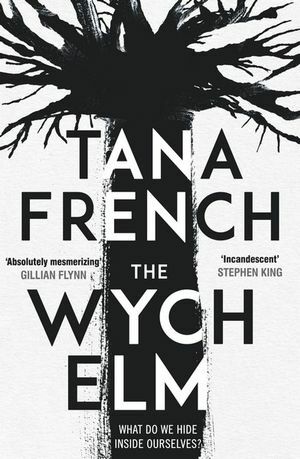 While I’m on the subject of detective fiction – I’m a big Tana French fan and if I wrote crime, I’d love to be able to write that kind. But her latest, The Wych Elm, disappointingly didn’t gel for me. While in her Dublin Murder Squad series, particularly The Likeness and In the Woods, the slower pace and what you might call ‘psychological’ approach led me deeply, satisfyingly into the novel, this one just seemed under-edited. Too long, too much detail. And I hate saying this, but too slow. I hope she returns to the force for her next one. In the past, at the end of the year, it’s been fun to count how many books I read, and in what genres, and to note the balance of male to female and Australian to overseas writers, and which books I’d read before, and which were new releases… All that kind of stuff. This year, I began the list, and then just gave up. I know I read some wonderful books, and wrote about some of them on this blog, but just at the minute I can’t remember their names. End-of-year exhaustion, hot weather, old age..? 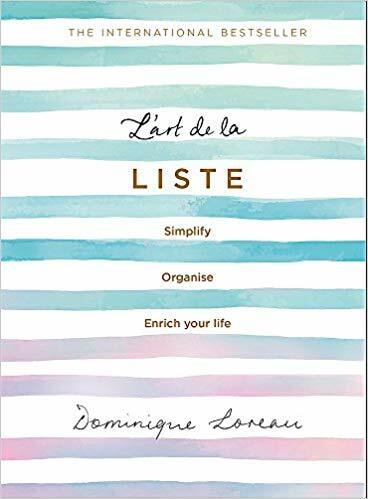 So here are the last books for 2018, which fall neatly into a number of categories. 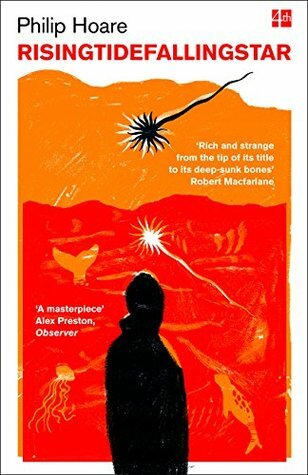 An English children’s book, an American collection of essays, an award-winning Australian first novel, a Booker long-listed novel by a young Irish writer. A.F. 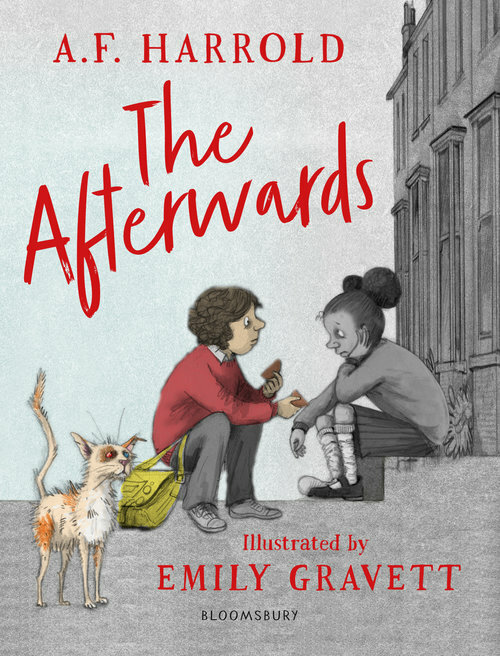 Harrold’s The Afterwards – with illustrations by Emily Gravett – is an unsettling book about death and what comes next. December (Ember) and her friend Happiness (Ness) are inseparable – until Ness dies in a freak playground accident. Dark and disturbing echoes from mythology as Ember goes into “the afterwards” to try to bring her Ness back from that grey and dreary place. Should she sacrifice her own life for her friend? It is actually quite scary…and reminded me of one of the traumas of my own childhood, which was an episode of The Twilight Zone where a little girl rolls out of bed through the wall into a grey, dreary, endless in-between place. The stuff of nightmares. I’m not sure what a 9-10 year old would really make of this. I must ask one! Janet Malcolm is a brilliant American journalist and writer of intimidating (or terrifying) intelligence and wit. Never mind that. 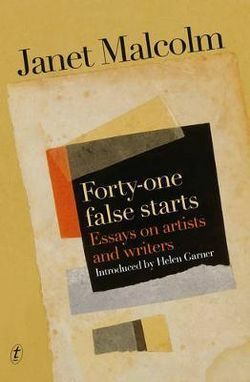 But I found Forty-one False Starts: Essays in artists and writers, with a foreword by another pretty scary writer, Helen Garner, un-put-downable. The piece I enjoyed most, A Girl of the Zeitgeist, is a profile of Ingrid Sischy, the editor of the magazine ArtForum. I knew nothing about most of the art world characters – artists, critics, writers, dealers – but it was all fascinating, witty, sharp, funny and awfully clever. My brain did hurt after I finished it, but that’s probably a sign that it did me good. Rooney’s Normal People tells of the on-again off-again and often tortured relationship between intellectual loner and misfit Marianne and popular, sporty Connell. They’re intelligent and ambitious young people who’ve grown up together in a provincial Irish town. His mother is her family’s cleaner, and they come to share an intimate but secret friendship/love affair while they’re at high school. They break up, go on to university in Dublin, and somehow their roles reverse. And reverse again. Beautifully written, it captures with heart-breaking exactitude what it’s like to be young, longing for love and acceptance, trying to find your place in the world. I read this obsessively, finished it in a day and a night. 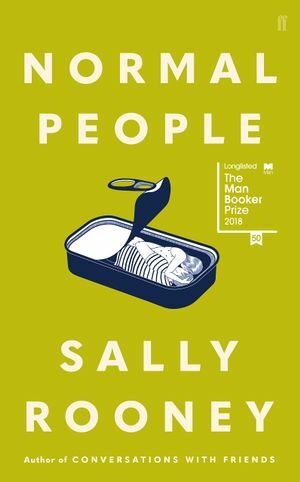 Sally Rooney is only in her 20’s, so I imagine she’ll only get better and better. 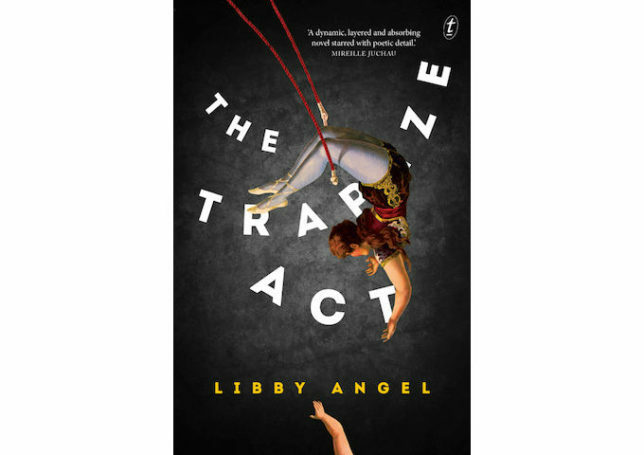 And finally…I haven’t quite finished The Trapeze Act by Libby Angel (who just happens to be another Castlemaine writer) but I will include it anyway, as my last book for 2018. It’s hard to describe but it might help if I tell you that the writer is also a poet. Loretta, the narrator, spends her childhood surveying and surviving her family. I come from a long line of warriors and explorers. My ancestors rode elephants and conquered deserts and skies. Some of them, like my mother, could fly. Mother is a flamboyant trapeze artiste and exotic dancer, sprung from a long line of circus performers, whose eccentricity bleeds into madness; brother Kingston is a homicidal maniac-in-training; father Gilbert is a high profile criminal lawyer and philanderer. And her great grandfather, whose journals are excerpted in the novel, was a delusional explorer who hoped to find elephants in the red centre of Australia. Sharp, poetic, often very funny, it sometimes reads like a fable, and sometimes like a scary account of parenting gone terribly, terribly wrong. I’ll keep reading. And hopefully, I’ll keep on and on reading in 2019. There’s already a quite a collection by my bed. Recently, a customer referred to her unread books as “the pile of shame”. And another customer said, no, don’t think of it that way. Just consider how much pleasure you have ahead of you. 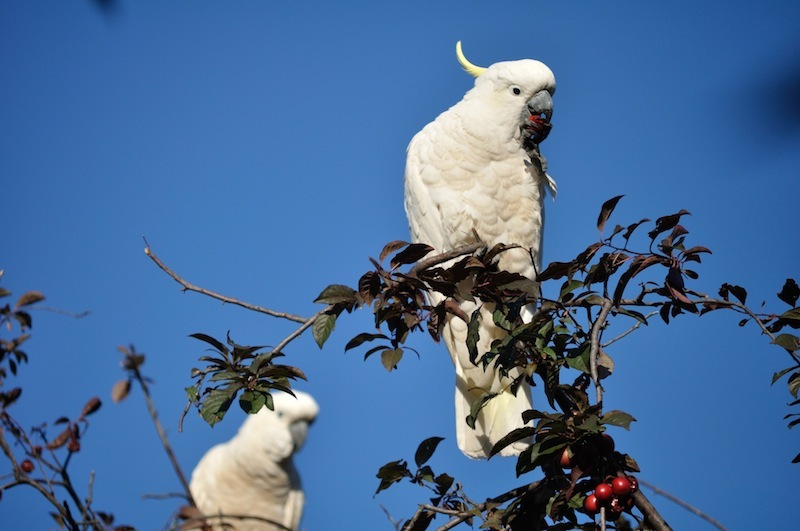 Last year, I sent Christmas wishes with a cocky in a plum tree. I didn’t get around to anything original this year, and instead from a cache of rather musty-smelling art postcards from the 1960s, found sufficient madonnas and child for everyone. Even less original was my greeting, which was borrowed from a Canadian friend. He sent us a very funny home-made Christmas card which wished us a holly, jolly time of turning, reflection and indulgence. Thank you, Dave – and as Christmas was the day before last, I acknowledge that my good wishes are not only borrowed, they’re late. As usual, the end of the year has caught me by surprise – how can this be? – and of course, it’s not surprising at all because the sun keeps rising and setting, day after day. And now that the jolly holly is over, there’s that lovely holiday time in between for lazing and reading. Lots of reading. Over the past week it’s been completely random – That’s Funny, You Don’t Look Buddhist by my favourite Buddhist Jewish grandmother, Sylvia Boorstein, a 1930’s romance that belonged to my grandmother, and vegetarian cook books. So much for my plan to read more strategically, more thoughtfully, and from my list of important new authors. To me, that tin ear for language is so starved of poetry and beauty, it’s almost beyond understanding. You just have to read the KJV passage out loud, and follow with the other. But, as my husband pointed out, the revisers were all about understanding for the people who were going to be put off by archaic words or grammar. I am now raving (in a good way) about RisingTideFallingStar, but to tell you the truth, I was initially put off by Philip Hoare’s wild and prodigal way with language when I first bought this book last year. It was a bit the same with H is for Hawk, by Helen McDonald. Too many words! Too intense! And I certainly changed my mind there. On our Canadian adventure, we spent a lot of time by the ocean; the Pacific on the West Coast, the Atlantic on the East. 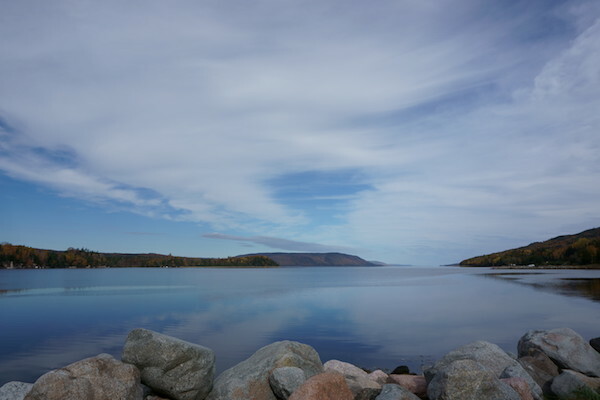 The photograph below was taken on Cape Breton in Nova Scotia. One of our friends reminded me of an earlier visit, when he and I had travelled from New Brunswick to Nova Scotia, and the huge behemoth of a car ferry was accompanied by leaping dolphins. It was sheer delight, which I’d forgotten, and then remembered. I realised with a thud of disappointment that I’d just had that ritual burning, and the 1991 Canada journal had gone into the flames. Damn. This digression is just a way of saying that my appetite for reading about oceans was aroused, I remembered buying the book and not liking it, and thought it might be time to try again. And oh, wow. It made me remember being a child of around ten, discovering that I could write poetry, and the feeling of feasting greedily on words. Like a bee in a field of flowers, I was giddy and dizzy and reeling with sweetness. Not that Hoare’s writing is particularly sweet. It’s actually pretty strange, some of it – I can imagine there are people who’d even find it repellent. I’m thinking of his descriptions of examining animal corpses, for instance (this is something I do, too – they’re interesting). When he finds a dead female dolphin and pokes his finger inside her genital opening to see if she’s pregnant, it was almost a step too far even for me. And when a family of Sowerby’s beaked whales appears in the early morning off those black shores, their strange dark shapes moving silently through the water, their subtle blows and antediluvian beaks breaking the calm surface to announce their presence: or when Risso’s dolphins leap and spy-hop, so impossibly marked and scratched that they appear almost entirely white, like cetacean ghosts, in the way that all whales are ghosts; or when a sperm whale appears out of the same sea, her body uniquely shaded in grey, a pale band around her belly splintering into shards towards he flukes like avant-garde haute couture and leaving me gasping behind my perspex mask – don’t all these cetaceans, whose names seem to belong to humans, signal their own stories,their own sense of themselves, rising to adore their own gods? I had no idea. In the ocean, this is happening, all the time, as it always did. I’m still settling back into life after my holiday in Canada. I had nearly six weeks of feeling beautifully fancy free, travelling with only one 30 litre pack which weighed around 6 kilos. Now, back home, it seems that in this quite ordinary household there is an amazing amount of STUFF to look after, clean, sort and maintain. Plus, the garden has gone feral, and the bad Feng Shui in our house must be off the charts, with clutter and dust kitties and a tank filled with waving fronds of black algae but no fish taking pride of place in the living room. Apart from travelling light, a big part of the fancy free feeling was very little media. I checked emails twice, and only used my phone as a camera. For years I’ve had both the Guardian and the Age online, and so I can disappear down the rabbit hole of links to this and that site and emerge hours later having thoroughly depressed myself with national and international current affairs. On our holiday, I only occasionally read a paper in a cafe or railway waiting room. I can’t resist boasting that I even managed to get through an article on #MeToo in Quebec in French while we were in Montreal. However, it wasn’t Australian news, so I read more for curiosity than actual engagement. I’ve been on a sort of news fast. Part of getting on with life was reviving my subscription to the Age. I like to have the weekend papers delivered, so that I can have that first morning cup of tea along with the crossword in a leisurely fashion. It’s a relaxing thing. The Sunday paper duly arrived. With the news that the man killed in Friday’s Bourke Street attack was Sisto Malaspina, co-owner of Pellegrini’s Expresso Bar. Like many who grew up in Melbourne, Pellegrini’s has been part of my life. As a teenager and young adult, I’d call by for a morning cappucino. Lunchtime, for a bowl of minestrone. Evenings before a movie. After a show. The smoky mirrors that lined the place reflected the other patrons, people who I often thought might be famous, or interesting, or notorious. Listening in to conversations, watching flirtations and arguments. Wondering about the solitaries reading or writing or just sitting dreaming with a coffee and a cigarette. Watching the waiters as they made the coffees and chatted with customers. It was noisy; the clink of glasses, the roar of the citrus juicer and the expresso machine and the women in the kitchen clashing pans and calling to the waiters. Even when I moved away from Melbourne, even when I’d really stopped drinking coffee – I’d go to Pellegrini’s. And there was almost always the guy with the scarf, the ideal Italian host, with the welcome, the warmth, the greetings for regulars in accented English or vigorous Italian. Opinions, too. Like when I asked for a latte, and he lectured me – that’s milk! he said. You ask for that, that’s what you get. You want a caffe latte, you ask for it! Laughing as he said it, but he meant it all right. I would never have thought that in breaking my news fast, with that first Sunday paper, I’d learn that the guy with the scarf was called Sisto Malaspina and that he’d been killed. He was, as the Age journalist wrote, a part of Melbourne. Part of my life too and now he’s gone and like so many others who didn’t know Sisto personally, I’m nevertheless feeling a loss. I’m sad. It feels like no news really is good news. It seems a long time since I sat down to write here. More than seems, actually. Is. The last time I posted was at the beginning of September. Though I was reading (I’m never not reading) my head was elsewhere because I was gearing up for 38 days of holidaying in Canada. My husband’s long service leave, combined with 25 years together – plus my 60th birthday earlier this year – formed great reasons to splurge. Maps, flights, train tickets, car rentals, insurance, accommodation, packing, connections with friends – it was a glorious project, and all consuming. And now it’s over. We returned home nearly two weeks ago, and at last I feel as if all of me has finally arrived. There seems to be so much to do, but I’m resisting panic. Even though the garden is feral, the house is dusty and disorderly and there are piles of stuff everywhere, I’m trying to keep breathing and enjoy our homecoming. 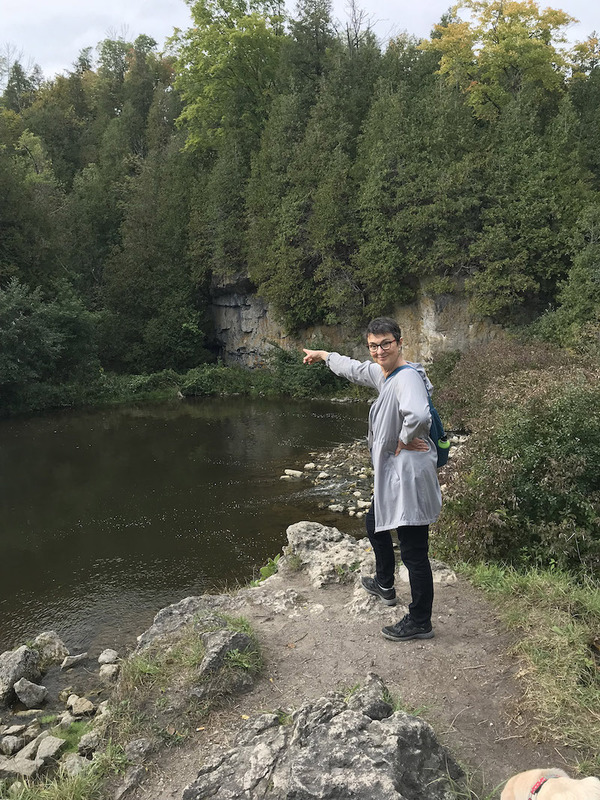 Canada is so green (and gold and orange and red, because we were there for Autumn), so watery with myriad lakes and rivers, so Northern, so different. I’m noticing – really noticing – the different blue of the sky, the shape of our trees, the colour of our greens. Australian accents (including my own) were beginning to sound outlandish, and now they’re normal again. This year, in one of my regular purges, I burned my travel diaries from 1991 when I spent four months in Canada, ranging right across the country from Vancouver on the West Coast to Nova Scotia on the East. I now wish I hadn’t, because I’d love to compare my observations and experiences. Though I didn’t keep a diary or even any notes this time. I took a blank book with me – I thought I would – but it seemed so pleasant to just experience each day and then let it go. I regret the burning, and regret – just a little – not writing anything down, but you know what? So what. I’ve done (or not done) it now. I read a lot while travelling. I bought a couple of books and then gave them away, but then there was the Kindle. I’ve always been a bit opposed, loving the physical book as I do, but for a reader on the move, it was fantastic. I loaded the complete works of Jane Austen, Anthony Trollope and Charles Dickens – a clear case of panicky stockpiling – but of course didn’t read them all. I’m not that voracious, and I think you’d need a round the world in twelve months to get that lot under your belt. But I got through Pride and Prejudice, Mansfield Park and Persuasion. And a few Canadian novels, too, which I’d bought before I left to get me in that Canadian mood. 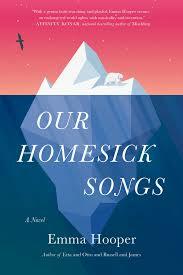 There was some crime fiction, which I consumed and then forgot, and a more memorable book called Our Homesick Songs by Emma Hooper. The Connor family lives in Big Running, Newfoundland. The cod fishery has collapsed (this really happened) and with no fish, the town’s reason for existing is gone. Parents Aiden and Martha alternately work away and look after the children, connecting only for a few brief hours each month. The disconnection, loneliness and strain begin to eat away at each of them. Meanwhile, the government wants the residents to abandon Big Running and relocate elsewhere; to that end it begins to shut down the town’s services. Feisty and determined 14-year-old Cora takes matters into her own hands (I won’t tell you how) but it’s 10-year-old Finn whose off-beat solution will have you between laughter and tears. 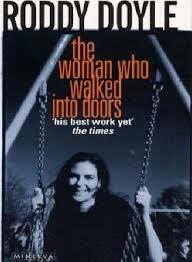 Told in simple, almost fairy-tale prose, it’s achingly sad but uplifting, too. Love doesn’t conquer all, but it surely helps. A train trip on a cold, grey day, stretches of time spent waiting at stations or fighting my way through crowds, then a funeral in the rain… Friday was a sad sort of day. Brightened by junior fiction. 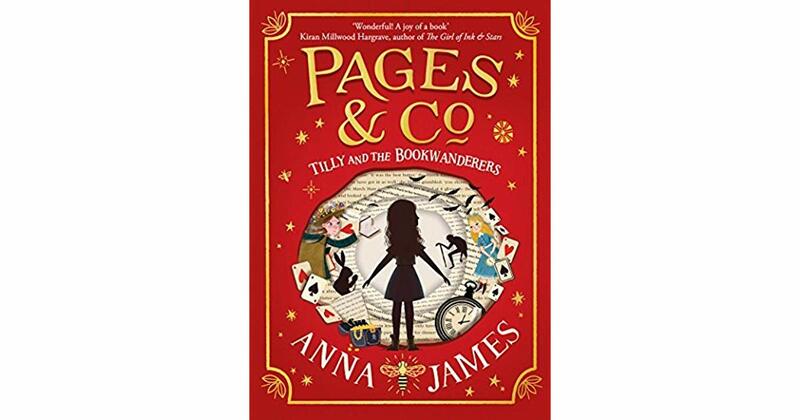 The book I tucked into my bag, Pages&Co: Tilly and the Bookwanderers, (a reading copy, as it’s not due for release till later this month) was a counterbalance. Our heroine is orphaned Tilly, who lives with her grandparents in their bookshop, Pages&Co. 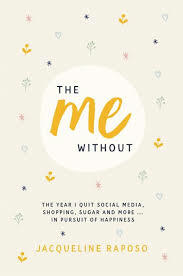 It’s school holiday time, and with her friendships changing and a little disappointing, she finds herself feeling lonely. So she turns, of course, to books. And finds to her surprise that Alice comes out of Wonderland and Anne with an ‘e’ strays from Green Gables. She’s able to go back in to their books with them, too. And that’s because – as she finds out – she’s a “bookwanderer”, one of those special readers whose heart and mind and spirit are so in tune with fictional worlds and people that they interleave with each other. With the help of a new friend Oskar and the dedicated librarians of the mysterious Underlibrary, she finds out what happened to her parents and achieves a happy ending. The inter-textuality (a big word that just came to me from my nearly- forgotten Graduate Diploma in Children’s Literature) isn’t sharp and clever and funny, as in The Eyre Affair by Jasper Fforde. Rather, this is a sweet, cheerful and comforting book that I can recommend for 8-9 year old girls who are not quite ready for too many thrills and chills and challenges.